The humidity finally dropped a bit over the weekend which made the high temperatures a lot more bearable. 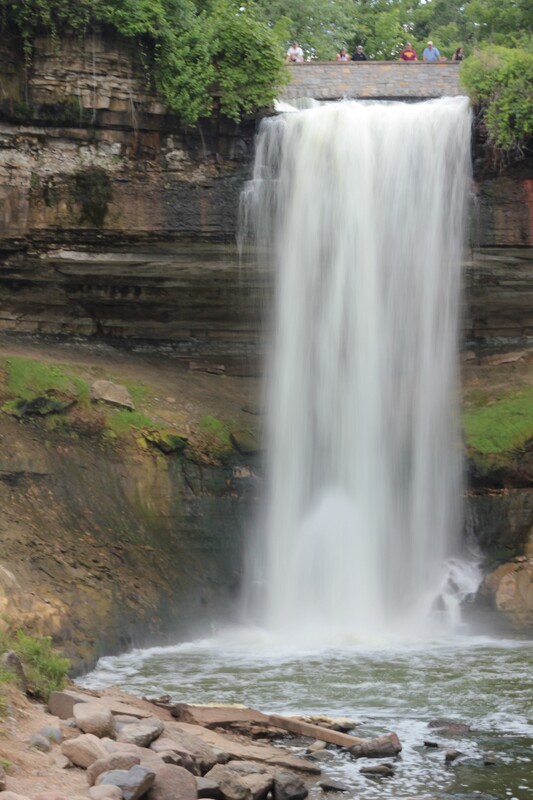 We decided to give our air conditioning units at home a break and had an impromptu date to Minnehaha Falls. Minnehaha Park has a lot of wide open space, walking and biking trails, a playground and splash pad, picnic gazebos, and gardens. It is also home to Sea Salt Eatery and is one of the rental locations for Wheel Fun Rentals. We rented a single surrey and had a blast. It was nice being able to ride side by side and hold a normal conversation. Typically our bike rides involve one person turning back to talk behind them while avoiding all obstacles in front of them while the other complains of not being able to hear. We ended up circling the park twice before walking down to the foot of the falls. We’ve had a good amount of rain so far this summer so the falls were really roaring compared to some of the other times we’ve visited.